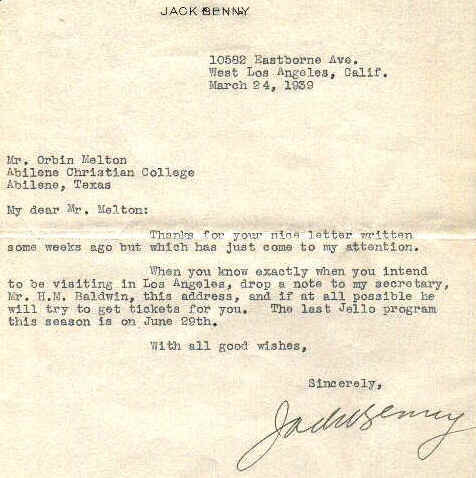 On this page you will find memorabilia regarding Jack and his crew, some from my personal collection. Enjoy!!! 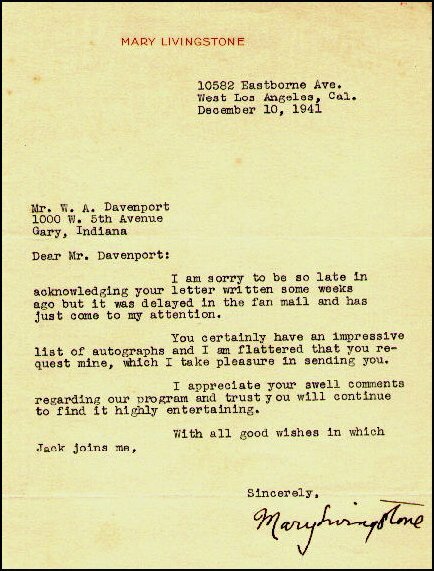 ^ A personalized letter from Jack (note: office address is same as Mary's) ^ Sheet Music for Phil's Song, "The Thing"
If you have images of any memorabilia you'd like to share, please e-mail me.